The major problem in using the current hypermedia mechanisms to support large applications is that the node and link structure is too simple to reveal the semantic connections among documents, and in particular, it is difficult to maintain consistency among them. 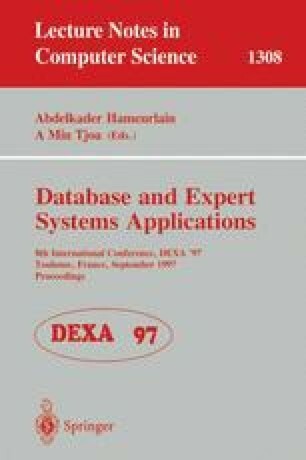 This paper discusses a unified data model (HyperDB) on the basis of the database approach for supporting large hypermedia applications. The HyperDB modelling techniques can be served as both the semantic analysis tool to capture semantics of a hypermedia application and the conceptual data modelling tool to define a hypermedia structure which can be supported by a database system.